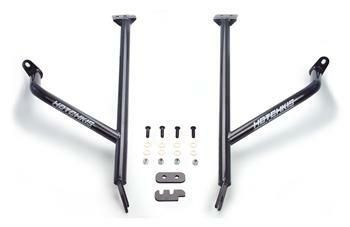 Hotchkis Chassis Max Handle Bars are a critical component for any high-performance vehicle. Any subframe can flex during hard cornering, altering suspension geometry, tire contact patch and alignment. Hotchkis has solved this problem by applying nature’s strongest shape: the triangle. 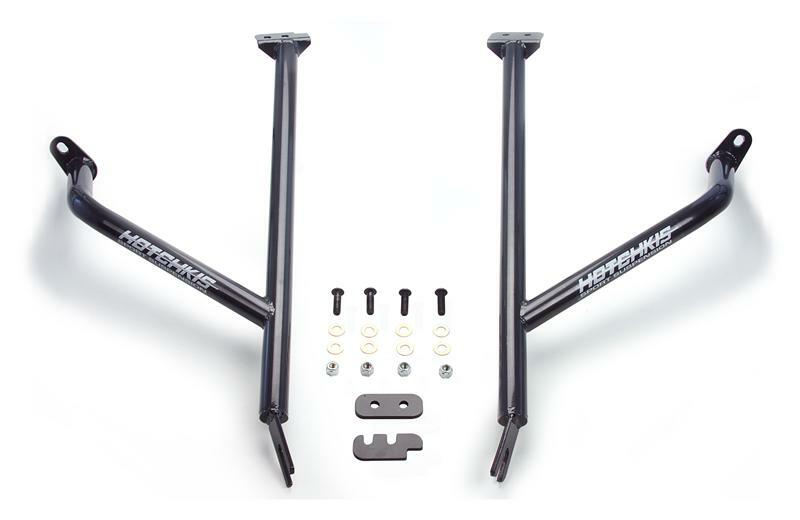 Hotchkis Chassis Max Handle Bars tie the control arms to the cowl and firewall with high-strength tubing and CNC bent brackets for maximum strength and rigidity. The result is incredible handling and driver control that makes the most of your high performance suspension.